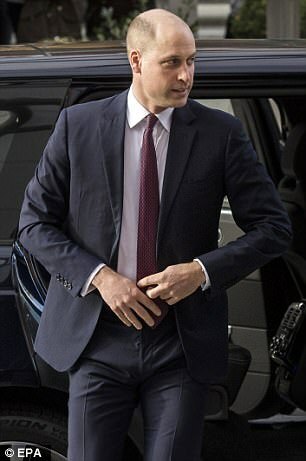 Prince William debuted his new shaven haircut today as he backed the national roll out of a recruitment drive to help veterans find work in the NHS. 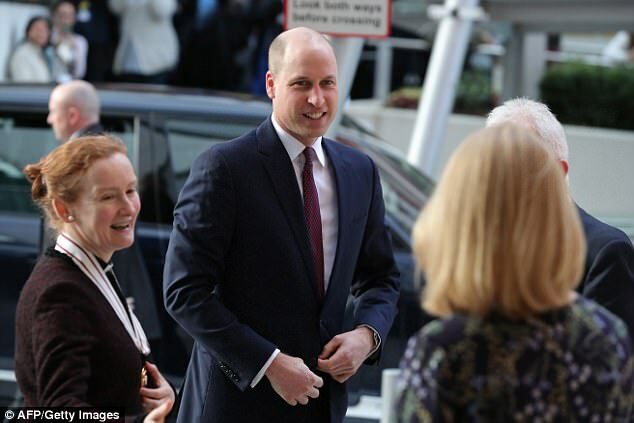 The Duke of Cambridge met ex-servicemen and women at Evelina's children's hospital in London in support of the Step Into Health initiative, a programme that will help ease veterans back into civilian life. The scheme is designed to funnel the skills and experience ex-servicemen and women gained in the Army, Navy and RAF for the benefit of the health service. It is hoped the scheme will fill vacancies from porters to directors, with salaries ranging from £15,000 to £100,000 a year. So far, a commodore, lieutenant colonel and warrant officer are among those to have secured jobs. 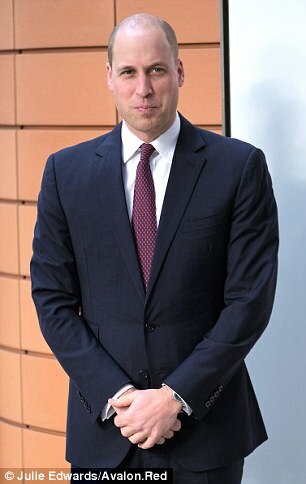 The Duke is making two visits to celebrate the national roll out of the 'Step into Health' programme. 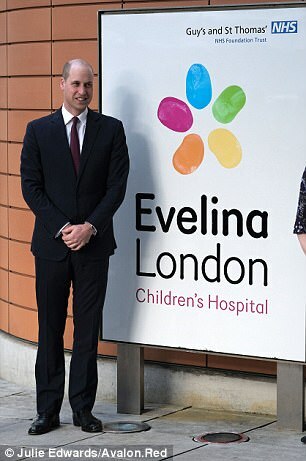 He was pictured visiting Evelina London Children's Hospital where he met veterans who are now working at the hospital, before travelling to the national launch of the scheme at Chandos House, Mayfair. 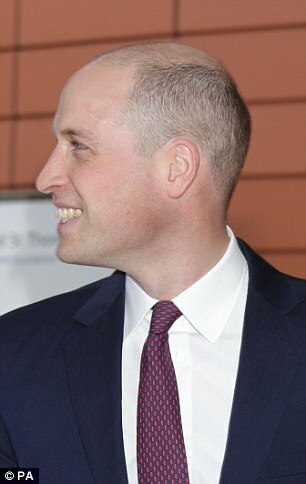 The 35-year-old, who as a teenager used to hide behind his long, floppy blond fringe, has long been conscious of his receding hairline. 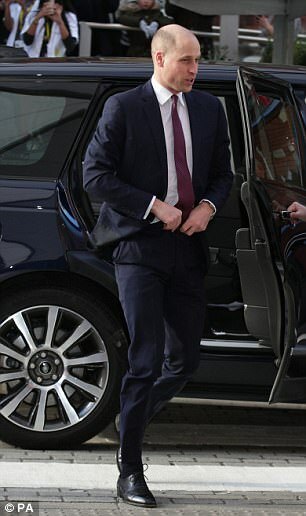 Prince Harry often teases his older brother about losing his locks. 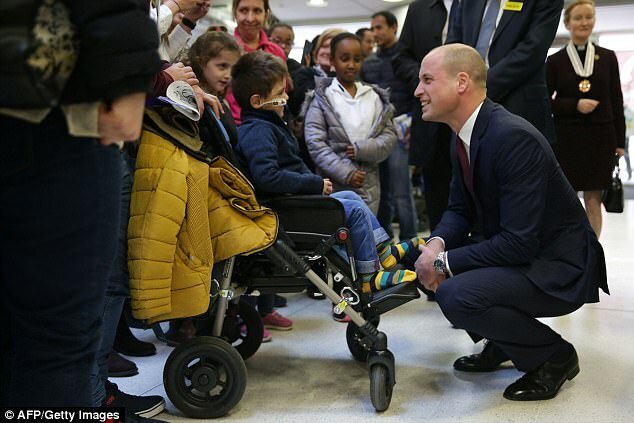 While chatting to a Second World War veteran in Barbados several years ago, Harry remarked that William 'was already bald aged 12'. 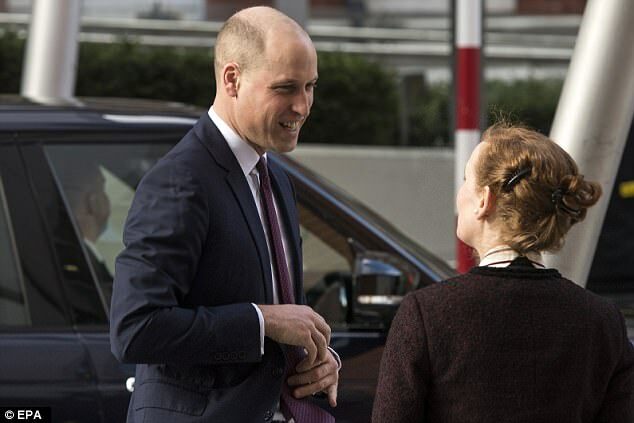 In 2014, the Duchess of Cambridge suggested the perfect solution for her husband's growing bald patch - an alpaca toupee. The Step into Health website says: 'The NHS recognises the transferable skills and cultural values that armed forces personnel develop when serving and how they are compatible with those required within NHS roles. 'Whether you are interested in catering, maintenance, administration, finance, communications, management, or a role in one of the clinical services, this programme will benefit you. 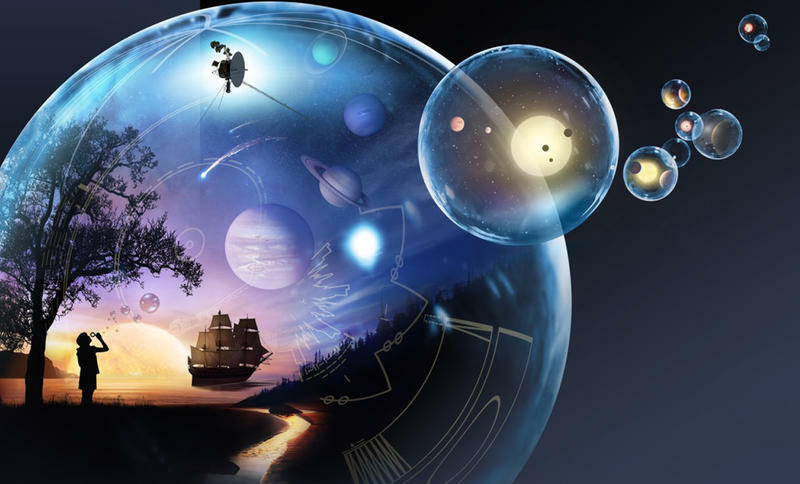 She explained that the skills she had learnt were extremely transferable. 'They're very transferable' said Tiffany Hemming, speaking on BBC Breakfast. 'You have to be very good at assessing a situation and making a decision quite quickly which enables us to get things done,' she added. 'Military personal have lots of skills that are directly transferable to the NHS,' said the former vet who went on to become a medical manager within the armed forces.